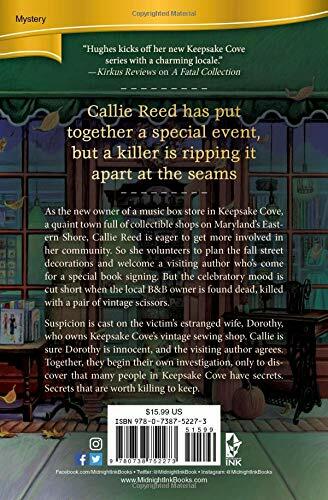 A Vintage Death by Mary Ellen Hughes returns readers to Keepsake Cove, Maryland. Callie Reed runs House of Melody, a collectible music box shop that she inherited from her aunt. Callie has volunteered to plan the autumn decorations for the town as well as the book signing event for Lyssa Hammond. She has the able assistance from her friend, Dorothy Ashby who owns Stitches Thru Time. After Lyssa arrives in town, Callie takes a welcome basket to her at the Foxwood Inn which is owned by Clifford Ashby. Clifford is a chatty fellow, but he makes people uncomfortable. 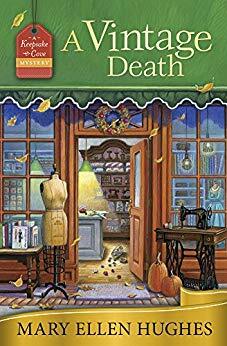 On Monday, while the townspeople are decorating their shops with autumn décor, Callie is surprised to hear that Clifford was found dead in the park with a pair of vintage scissors sticking out of his chest. Dorothy, Clifford’s estranged wife, becomes the prime suspect since the scissors came from her shop. Callie knows her friend did not commit the crime and, with the aid of an eager Lyssa, starts searching for clues. Several local townspeople had reason to harm Clifford who had developed a scheme to earn extra money. Which suspect committed the wicked deed? Before Callie and Lyssa can zero in on the killer another body is found in the park and, once again, the weapon is a pair of scissors. Can Callie solve this whodunit and save Dorothy from a life in prison? 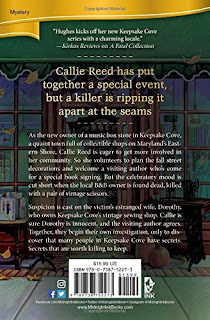 A Vintage Death is the second tale in A Keepsake Cove Mystery series, but it can be read alone. 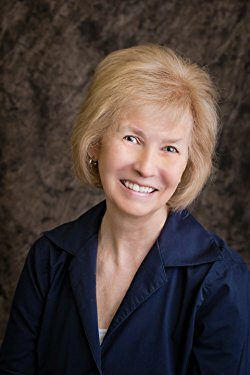 The author provides Callie’s backstory to bring readers up to date. We get to know more about Keepsake Cove, its adorable shops and its amiable characters. Each shop features a different type of collectible item which I find very unique. Callie has become friends with several of the locals and has begun dating Brian Greer who owns the Keepsake Cove Café. Lyssa was a nice addition to the book, and I hope we see her again in future installments. We get to know more about Callie in this story (good character development). Tabitha, Callie’s shop assistant, is a off-beat character with her unconventional style of dress. She dresses up as a different character each day and her clothing is described in detail. I liked the author’s conversational writing style (what I call easy breezy) which makes the book easy to read and enjoy. The mystery was intriguing with an unusual murder weapon and several suspects. I was not surprised by the killer’s identity, but I appreciated how the mystery played out. The crime is actively investigated by our amateur sleuths. It has a dramatic ending and a twist that will surprise you. Grandpa Reed’s music box is the paranormal element in the story. It will play out at times to aid Callie in her investigation. I am a fan of paranormal, but the music box is not working in this story. We do not know what the music box means when it plays out a tune (too vague). I hope it becomes clearer in future books in this series. A Vintage death a pleasing cozy mystery with its quaint town, charming shops and friendly characters. A Vintage Death will be published on November 8 and can be purchased at Amazon, B&N, and Midnight Ink. A Fatal Collection is the first novel in A Keepsake Cove Mystery series (Kindle version currently $.99 on Amazon). In honor of the tour, Mary Ellen Hughes is having a giveaway. You can click here to enter or use the Rafflecopter form below. Make sure to leave a comment for an extra entry and visit the other stops on the tour (schedule below). Thank you for stopping by today. 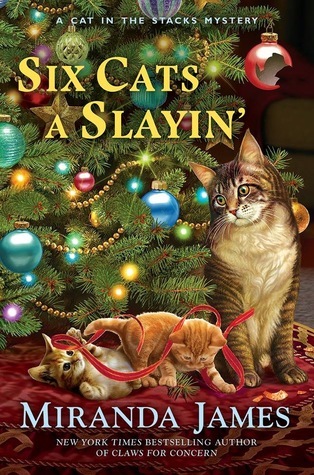 I am going to share my thoughts on Six Cats a Slayin' by Miranda James tomorrow. I hope you have a superb day. Take care and Happy Reading! This sounds delightful--I'd love to read it. 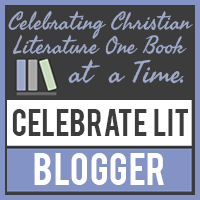 Thank you, Kris, for the lovely review and for hosting today's stop on my blog tour! I have wanted to read this series. Thanks for the opportunity. Cover is nice and sounds like a fun read. Good luck with your book.